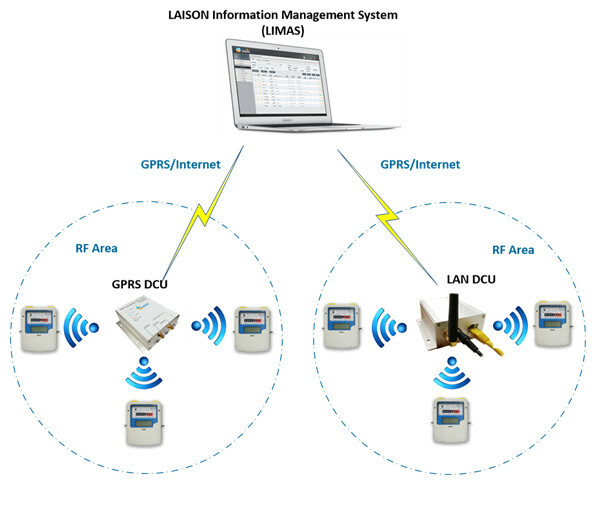 Fixed Network AMR Gas Meter is part of LAISON Advanced Metering Infrastructure (AMI) System. It provides comprehensive, reliable, advanced smart meter solutions to water utilities & authorities, which avoids door-to-door meter checking manually.The Default RF Communication Frequency is 868MHZ, and communication distance is no less than 5km in line of view. In Future, Other basic parameters like Total Purchased Water, Balance Credit, Alarm Value etc. can be collected and uploaded. Meter’s Valve can be remotely opened or closed by sending corresponding command at Center Management System. Open valve or close valve command could be sent to DCU via Internet, and communicate with meter through RF Wireless, to realize bi-directional communication between Center Management System and LAISON Smart Prepaid Water Meter. 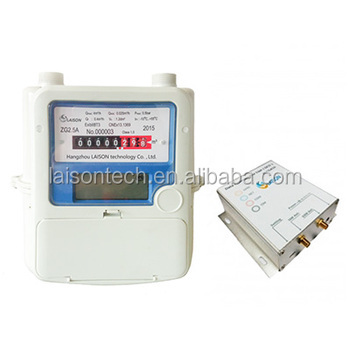 Hangzhou LAISON technology Co. Ltd.is the best choice for water meter,gas meter and energy meter supplier in China, we can provide OEM service, which means we can design and produce meters as your requirement. Welcome to visit our factory which located in the Zhejiang,China ,we would give you a warm reception. With reliable quality assurance and perfect service system, our products are sold well to South America, Europe, Africa and Middle East etc. Both our catalog products and customized products, Welcome to Contact Us. 1. How is your price? Although we have brand-name products,our prices are very favorable and competitive.Because of our best price, customers from all over the world come to purchase our products. 2. How long is your warranty? Our Warranty is 12 month. 3. Could you specially design and produce for clients? Sure, we have all kinds of professional engineers.We can design and produce special products according to customers' request.Such as: special size, special control, OEM, etc. 4. What’s the MIDAS main market? Our main market is African, Middle East Countries, South American, Asian.